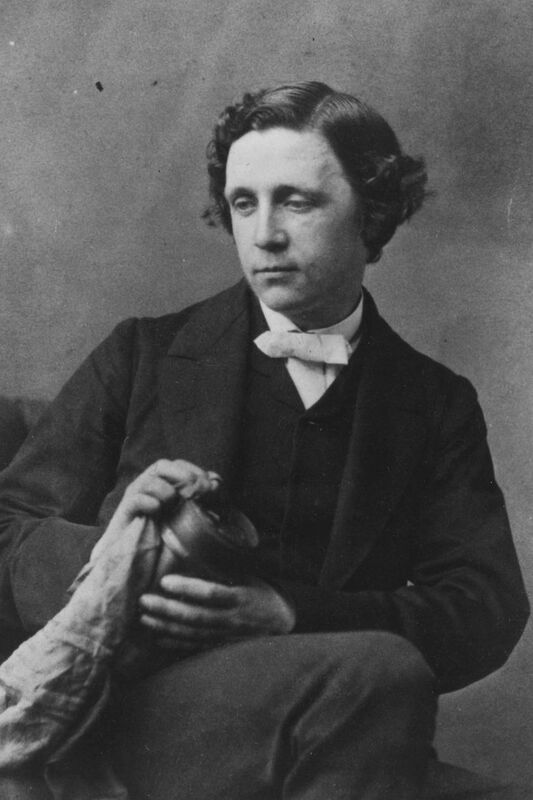 Born in 1832, Charles Lutwidge Dodgson, better known by his pen name Lewis Carroll, was the eldest boy of 11 children. Raised in Daresbury, Cheshire, England, he was known for writing and playing games, even as a child. An avid storyteller, Carroll enjoyed creating stories for children, and went on to publish two notable novels: “Alice’s Adventures in Wonderland” and “Through the Looking Glass.” In addition to his career as a writer, Carroll was also known for being a mathematician and logician, as well as an Anglican deacon and a photographer. He passed away in Guildford, England on January 14, 1898, just a few weeks before his 66th birthday. Carroll was the eldest boy of 11 children (the third child) born to his parents on January 27, 1832. His father, Rev. Charles Dodgson, was a clergyman, having served as perpetual curate at the old parsonage at Daresbury, where Carroll was born. Rev. Dodgson went on to become the rector of Croft in Yorkshire, and despite his duties, always found time to tutor the children in their school studies and instill in them morals and values. Carroll’s mother was Frances Jane Lutwidge, who was known for being patient and kind with the children. The couple raised their children in a small isolated village, where the children found ample ways to amuse themselves throughout the years. 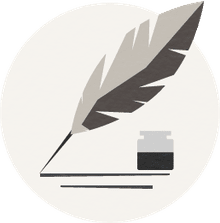 Carroll, in particular, was known for coming up with creative games for the children to play, and eventually started writing stories and composing poetry. When the family moved to Croft after Rev. Dodgson was offered a larger parish, Carroll, who was 12 years old at the time, started developing “Rectory Magazines.” These publications were collaborative compositions within the family, and everyone was expected to contribute. Today, there are a few surviving family magazines, some of which are handwritten by Carroll and include his own illustrations. As a boy, Carroll was not only known for writing and storytelling, he was also known to have an aptitude for mathematics and classical studies. He received awards for his mathematics work during his time at Rugby School, which he attended after his years at Richmond School in Yorkshire. It is said that Carroll was bullied as a student and didn’t love his school days. He reportedly stammered as a child and never outgrew the speech impediment, and also suffered from having a deaf ear, the result of a severe fever. As a teenager, he experienced a severe instance of whooping cough. But his health and personal struggles in school never seemed to affect his academics studies or professional pursuits. In fact, Carroll later went on to enroll at Christ Church College in Oxford in 1851 after receiving a scholarship (known as a studentship at the school). He earned his degree in mathematics in 1854 and became a lecturer of mathematics at the school, which was akin to serving as a tutor. This position meant that Carroll was to take holy orders from the Anglican Church and to never marry, two requirements that he agreed upon. He became a deacon in 1861. The plan was for Carroll to become a priest, at which point he could have married. However, he decided that parish work was not the correct avenue for him and remained a bachelor his entire life. Years later, starting in the early 1880s, Carroll served as his college’s Curator of its Common Room. His time at Oxford came with a small salary and an opportunity to conduct research in mathematics and logic. Carroll was also afforded the luxury of pursuing his passion for literature, composition, and photography. Carroll’s interest in photography began in 1856 and he found great joy in photographing people, particularly children and notable figures in society. Among those that he photographed included English Poet Alfred Lord Tennyson. At the time, photography was a complex practice that required strong technical expertise, as well as great patience and understanding of the process. As such, it’s no surprise that the craft brought much enjoyment to Carroll, who enjoyed more than two decades of practice in the medium. His work included developing his own studio and amassing a collection of photographs that is reported to have once included about 3,000 images, though it appears that only a fraction of his work has survived over the years. Carroll was known to have traveled with his gear, taking photos of individuals and saving them in an album, which was his chosen method for showcasing his work. He collected autographs from the individuals he shot and took the time to show them how their images would be used within the album. His photography was only displayed publicly once, showcased in a professional exhibition sponsored by the Photographic Society of London in 1858. Carroll gave up his practice of photography in 1880; some say that the modern developments of the art form made it too easy to create an image, and Carroll lost interest. The mid-1850s were also a time of development for Carroll’s writing career. He began composing a number of not only mathematical texts but also humorous works. He adopted his pseudonym of Lewis Carroll in 1856, which was created when he translated his first and middle names into Latin, changing their order of appearance, and then translating them back to English. While he continued to publish his mathematical work under his given name of Charles Lutwidge Dodgson, his other writing appeared under this new pen name. The same year that Carroll assumed his new pseudonym, he also met a four-year-old girl named Alice Liddle, the daughter of the head of Christ Church. Alice and her sisters provided much inspiration for Carroll, who would create imaginative stories to tell them. One of those stories was the basis for his most famous novel, in which he described the adventures of a young girl named Alice who fell into a rabbit hole. Alice Liddle asked Carroll to turn his verbal tale into a written work, which was initially titled, “Alice’s Adventures Underground.” After several revisions, Carroll published the story in 1865 as the now famous title of, “Alice’s Adventures in Wonderland.” The novel was illustrated by John Tenniel. The success of the book encouraged Carroll to write a sequel, “Through the Looking Glass and What Alice Found There,” which was published in 1872. This second novel drew from many of the stories the stories that Carroll had written years earlier, and included many of his famous Wonderland characters, including Tweedledee and Tweedledum, the White Knight, and Humpty Dumpty. The novel also included a popular poem titled, “Jabberwocky” about a mythical monster. The nonsensical piece of writing has long puzzled readers and provided ample opportunities for analysis and interpretation from scholars. While many children’s books of the times were written with the goal of sharing moral lessons for children, Carroll’s work was reportedly written purely for entertainment purposes. Some say that Carroll’s writing includes hidden meanings and messages about religion and politics, but most reports support the notion that Carroll’s novels did no such thing. They were purely entertaining books that were enjoyed by children and adults alike, particularly with their nonsensical characters and occurrences and the intelligent ways in which Alice responded to the various situations she encountered. His later years were taken up with mathematics and logic projects, as well as trips to the theater. Only a few weeks before his 66th birthday, Carroll fell ill with influenza, which eventually developed into pneumonia. He never recovered and died at his sister’s home in Guildford on January 14, 1898. Carroll was buried at the Mount Cemetery in Guildford and has a memorial stone in Poets’ Corner at Westminster Abbey.